Exposed non-stop to pollution, stress, fatigue and also to the strain of spending more and more time on our smartphone, tablet and computer screens, it’s no wonder our eyes are the first place signs of fatigue appear and where the first early signs of aging settle in. 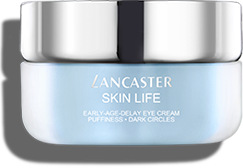 SKIN LIFE Early-Age-Delay Eye Cream protects against pollution, re-energizes the eye contour and helps minimize dark circles and puffiness. 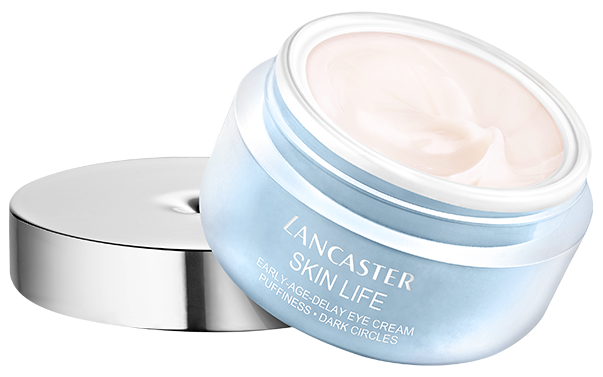 Its gel-cream formula hydrates the eye contour and smoothes fine lines. Thanks to its rosy, fresh texture, the eye contour is more radiant and luminous. Your whole complexion seems less tired. Suitable for all skin types and sensitive skin. 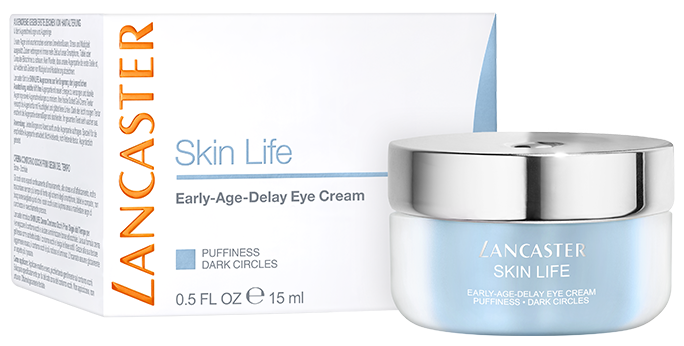 Specially developed for women from 25 to 35 years old with urban and modern lifestyles who want to protect their eye contour from the first signs of aging caused by pollution. 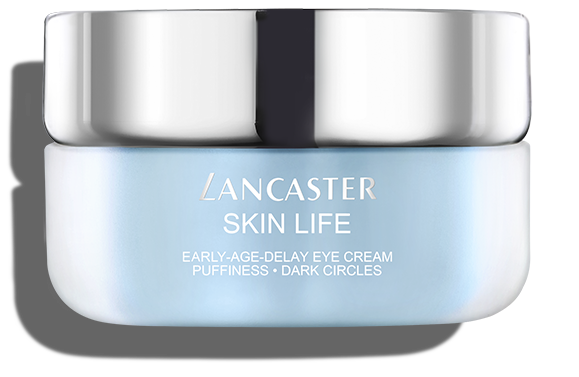 1) Apply your eye cream in the morning but also in the evening to hydrate your eye contour after a busy day when your eyes are particularly tired. Every morning, squeeze a pearl-sized amount of Detoxifying Cleansing Foam on damp skin and work into a foam. Your skin is flushed out of toxins and pores appearance is visibly reduced. 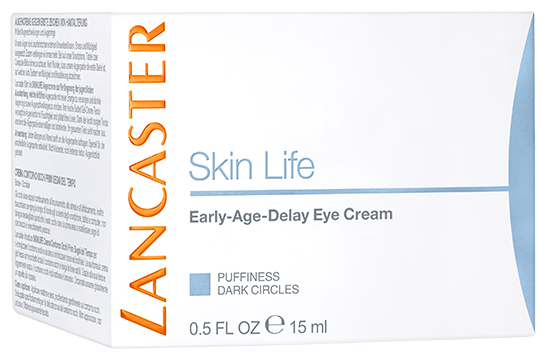 Around your eye contour gently pat on Early-Age-Delay Eye Cream to help minimize dark circles and puffiness.  Thanks to its slightly rosy texture, the eye contour is more luminous and your whole complexion seems less tired. 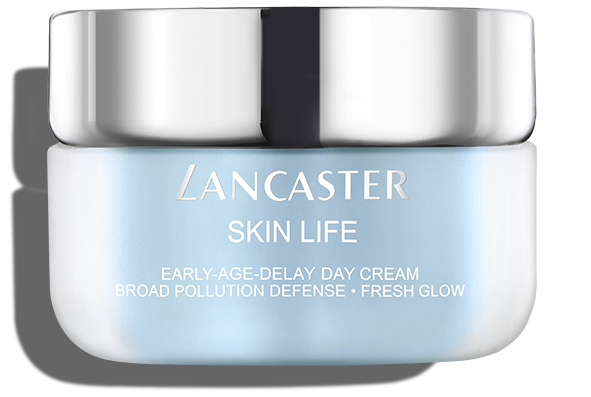 Follow with Early-Age-Delay Day Cream to detoxify, re-energize and hydrate your skin. 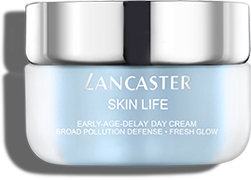 The skin better resists early aging caused by major types of pollution (outdoor, indoor, digital) to reveal a fresh glow. 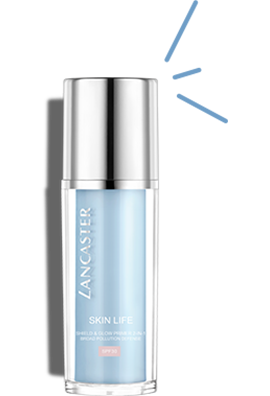 Pump 1 drops of Shield & Glow Primer SPF30 and apply all over the face. This blurring shield protects your skin from UV, outdoor & indoor pollution and evens your skin thanks to its universal rosy shade. Your skin is now ready for make up !